I was needing an escape from New Hampshire during my visit up there to visit family for the holidays, so I booked a hotel and some restaurant reservations in Boston. 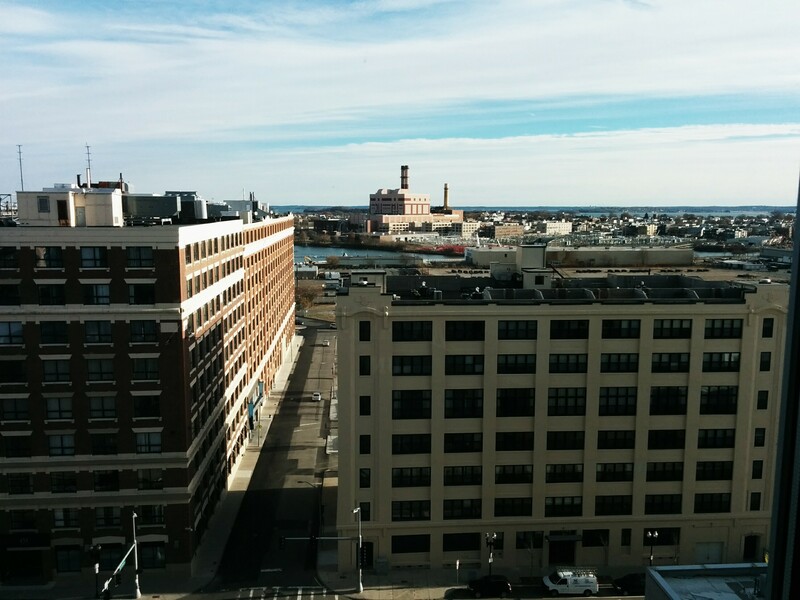 The southeasterly view from my window at the Westin Boston Waterfront Hotel. The first stop for me was Drink. I had hit this fantastic, top-rated cocktail bar back in 2011 after a previous overseas tour (see here and here), and wanted to experience them again. 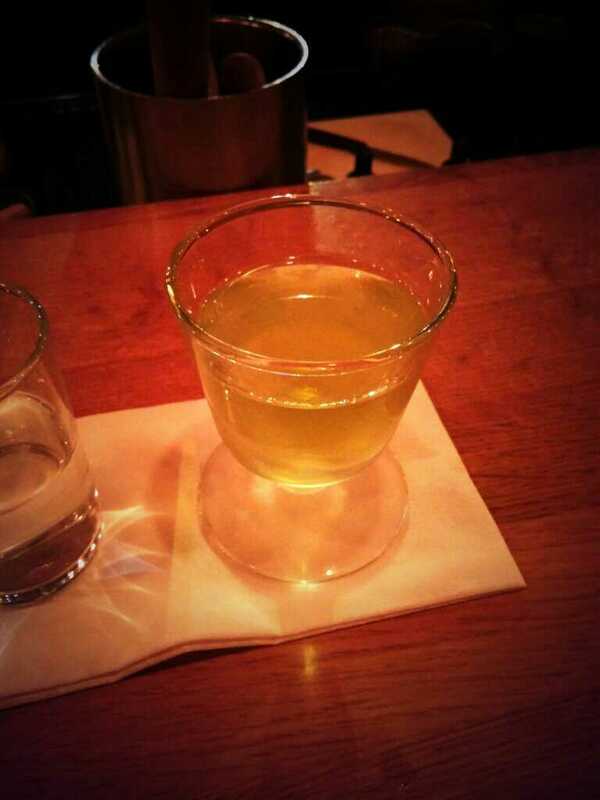 I started by asking for something with Green Chartreuse (a favorite of mine). 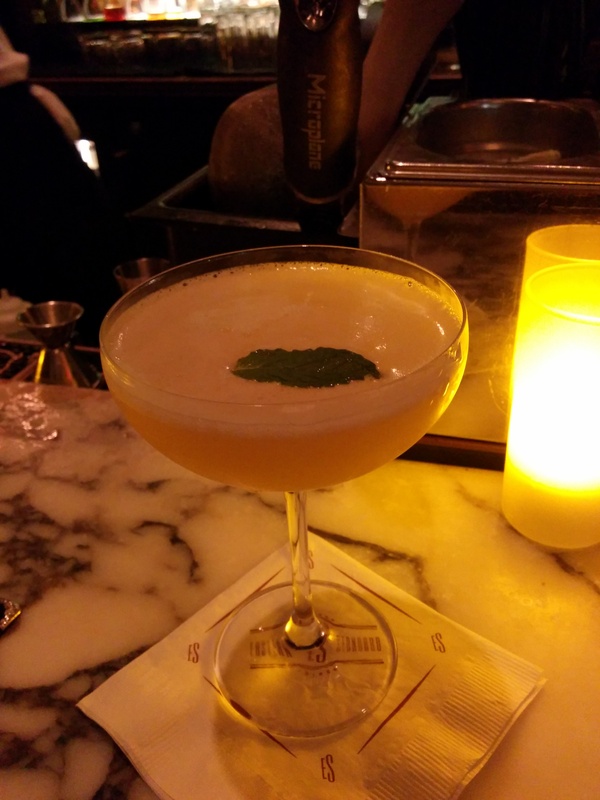 I was started off with a classic – The Last Word – with gin, lime juice, Maraschino liqueur, and Green Chartreuse. 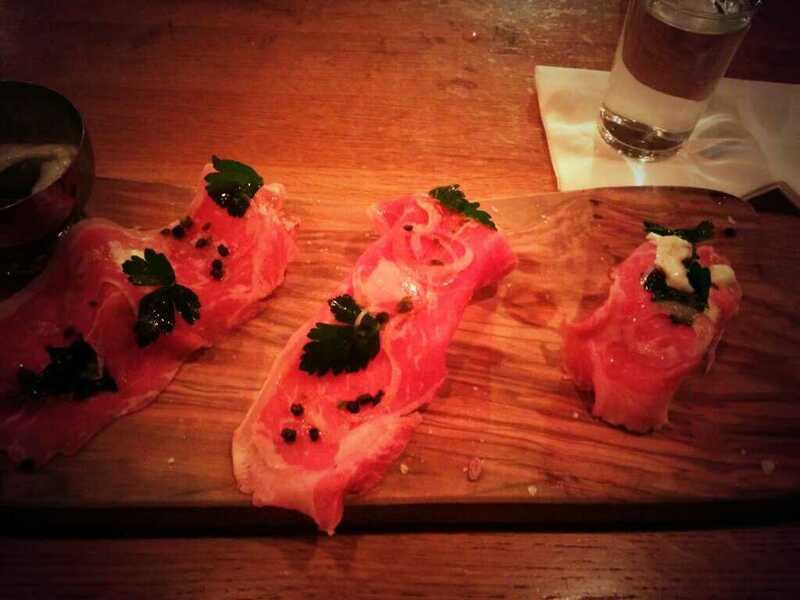 Along with that, I had the very tasty (albeit tricky-to-eat) Sirloin Carpaccio. Sirloin Carpaccio. You have to pick it up to eat it, and it’s too big for one bite. I had some issues and was probably embarassing myself as I ate it, but it was delicious. I followed The Last Word up with a Bijou (gin, Green Chartreuse, a sweet vermouth, and orange bitters) which provided more of the complex flavors of the Chartreuse. To change things up, I asked for something with kümmel (previously mentioned here), an old, but hard-to-find liqueur which tastes of carraway, cumin, and fennel. 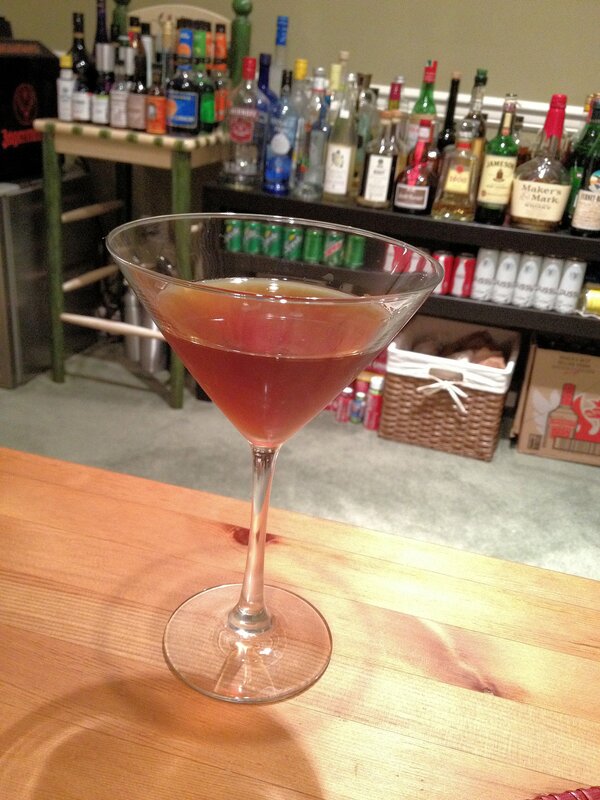 What I got was The Maiden’s Choice, which consisted of Plymouth Gin, dry vermouth, and kümmel. This cocktail is great for showcasing the interesting flavors of the kümmel, although it’s a flavor that is probably an acquired taste. Fortunately, I like it. 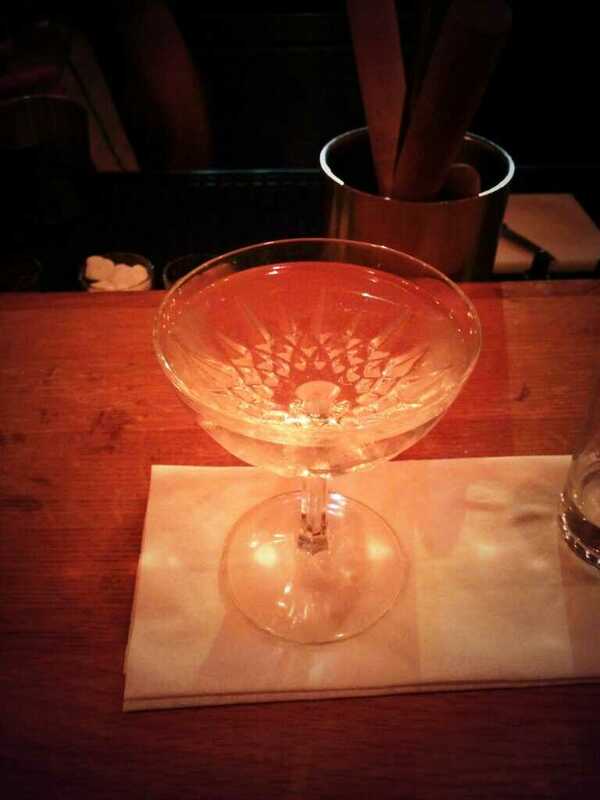 The mixologists over at Drink have a thing for showmanship as well. 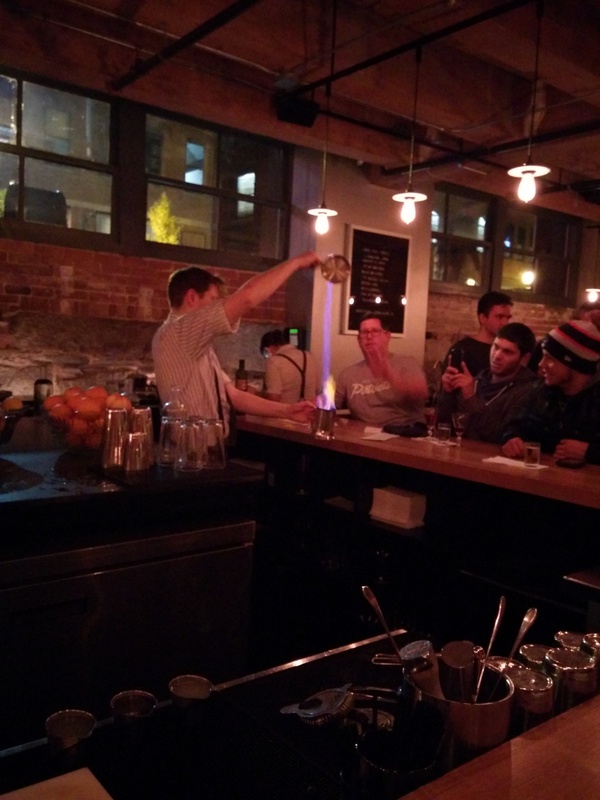 As I was enjoying my beverages, I watched them playing with fire. Yep, that’s fire he’s pouring right there. I met up with some D.C. expatriates at the bar who endorsed Mockingbird Hill [Twitter/Facebook], the new Derek Brown sherry bar in Washington that I’m going to have to hit when I’m back in town. 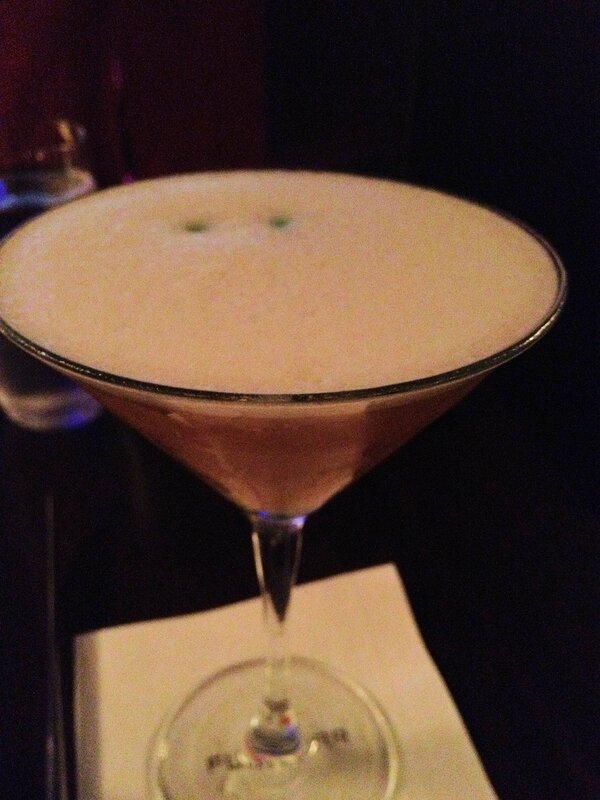 A mixologist at Drink also recommended it. After taking a short break after Drink (their drinks don’t want for alcohol content), I headed over to Empire Restaurant and Lounge for dinner. Sporting a nightclub atmosphere (see – “Lounge”), I wasn’t sure what to expect the food to be like, although I’d seen high reviews for the joint. 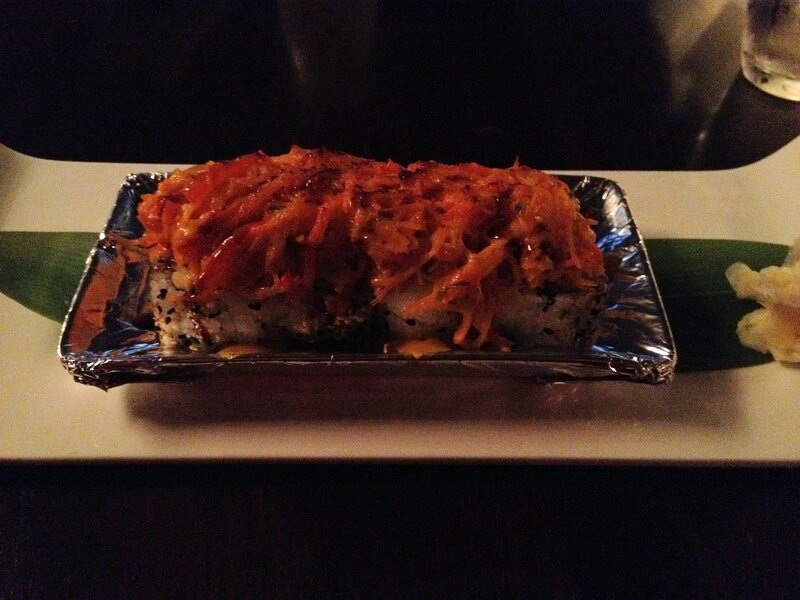 I was happy to discover that their food program (namely the sushi, which was what I stuck to) was excellent. 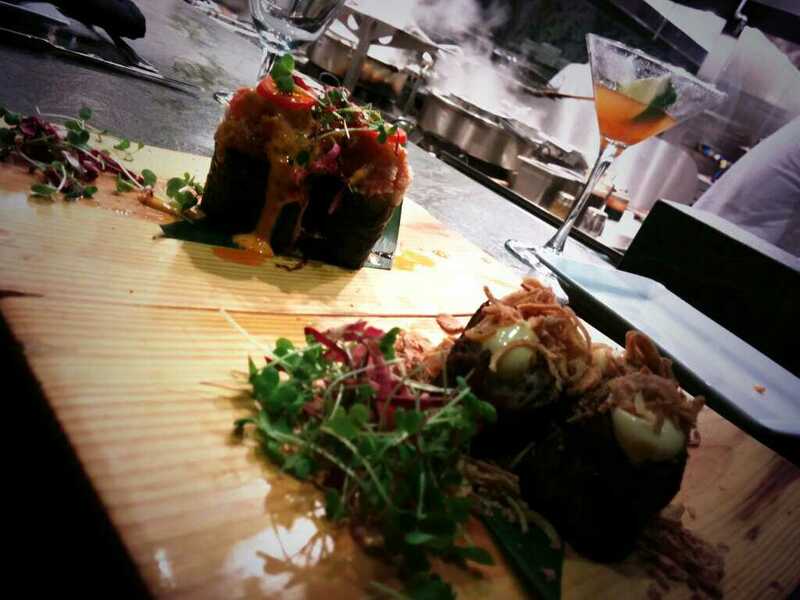 Besides running Empire, Big Night Entertainment Group runs GEM, which has also received plaudits for their food. I started off with the Hot Night in Bangkok (Avion Silver Tequila, plum infused sake, passion fruit, and Sriracha sauce), which provided a combination of sweet and spicy flavors. 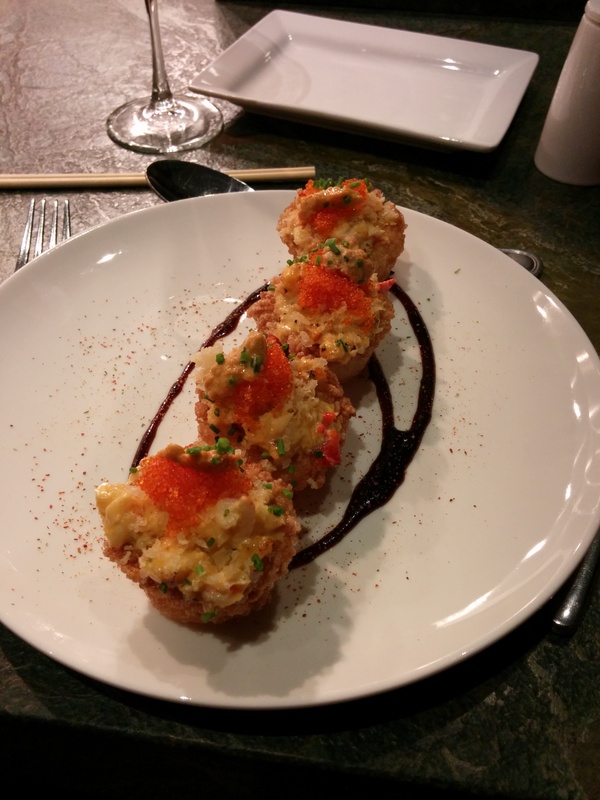 It went well with the Sushi Cupcakes (broiled Maine lobster, spicy garlic butter, crispy pressed sushi rice, and marinated uni) of which I considered getting a second order. 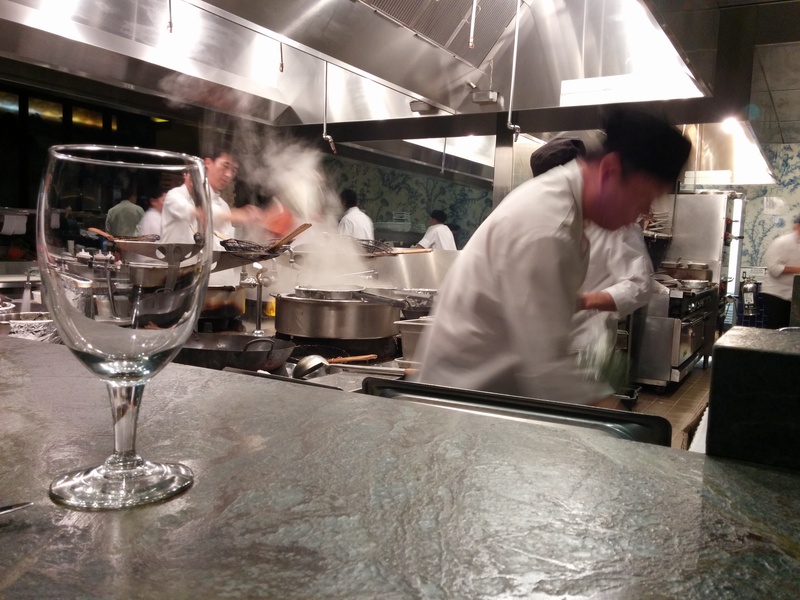 My view of the Empire kitchen. The Sriracha goodness that is the Hot Night in Bangkok. 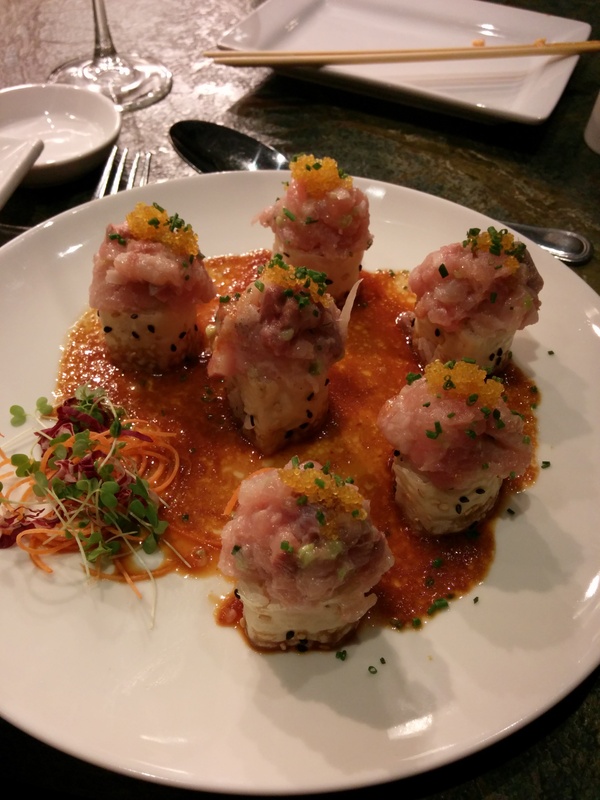 Next up – the Hamachi Tartare Roll (with avocado, gobo [burdock root], cucumber, topped with spicy yellowtail tartare, and served in a ginger sauce) the fresh taste of the tartare went great with the ginger. Also in this round – and one reason why I picked this location for dinner – was the ‘Fish & Chips’ Roll (with tempura cod, malt vinegar tartar sauce, and yukon potato chips). 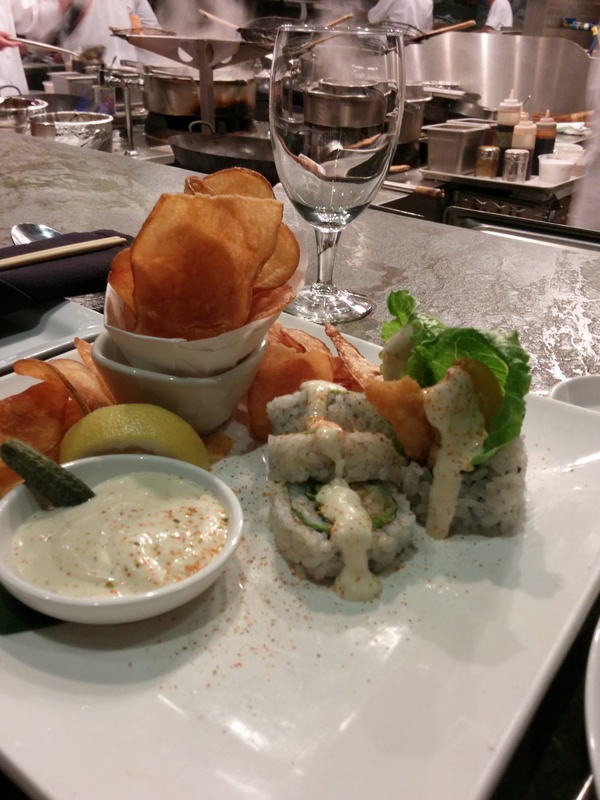 I’m a big fan of the Fish and Chips Roll over at SEI in D.C., hence my interest in this menu item. The Empire version adds in more of a vinegar flavor, which reminded me even more of the flavors you’d experience in a traditional fish and chips basket. The final four dishes I went with were Nigiri-style – the Tuna ‘Hot Night’ gunkanmaki (spicy tuna, sliced chilies, sesame chili oil), Wagyu Beef Nigiri (with crispy shallots and a dark rum glaze – the beef replaced the nori as the wrap around the roll), Eel Nigiri Kabayaki (barbequed eel, sesame purée [reminiscent of peaut butter], and Granny Smith apple), and the Nigiri ‘Surf & Turf’ (more Wagyu beef, along with Sockeye salmon, scallion, ginger, and sweet miso vinegar). Great rolls. Closing out the evening, I made a stop over at Eastern Standard near Kenmore Square, and started off with a great Old Cuban (rum, lime juice, simple syrup, bitters, sparkling wine float, mint). Eastern Standard also likes their sherries, as evidenced by the five sherry cocktails on their drink menu. 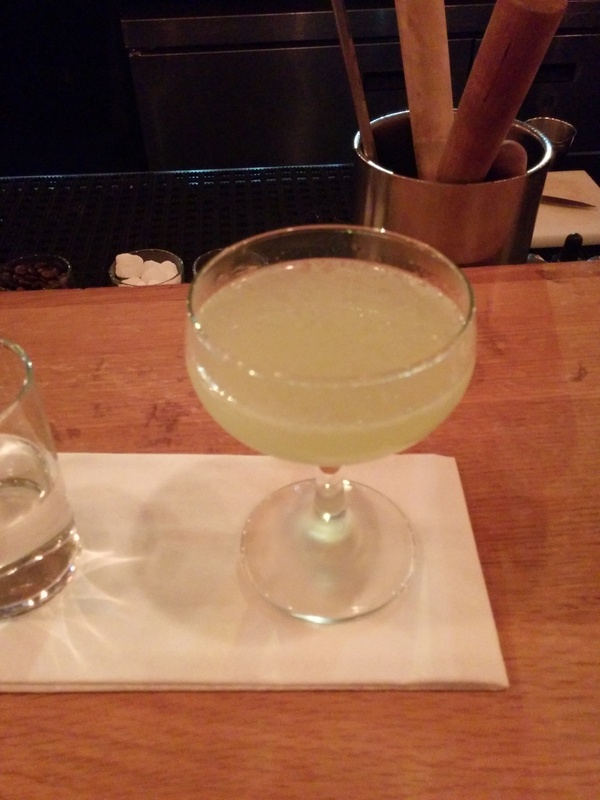 Asking for my bartender’s favorite, I got The Veil of Sanlúcar (La Gitana Manzanilla Sherry, chamomile mezcal, agave nectar, and bitters) – a great smokey cocktail. The Veil of Sanlúcar. Perfect way to finish the evening. I’ll be back in the Boston-area every year around the holidays, and I’ll be making it a point to hit some new places every time. If you’ve got any suggestions, please let me know! Shook everything but the cachaça without ice. Added the ice and cachaça and shook, then strained. Nice and smooth. Shook all but the bitters with ice. Double strained into a glass. I think I’d like this better with a little less absinthe, although it grew on me…anise taste at the front, finishes with the strawberry. Muddled the strawberry simple syrup and the peppercorns, then added the rest of the ingredients and shook over ice. The Fresa Catrina was tasty…the pepper and the sweetness went really well together. Shook all over ice, double strained into a glass. The strawberries mellowed out the bitterness of the Averna (which is already relatively mellow as far as Italian bitter liqueurs go). I liked this one. Simple and tasty. Shook all ingredients over ice, double strained into a glass. 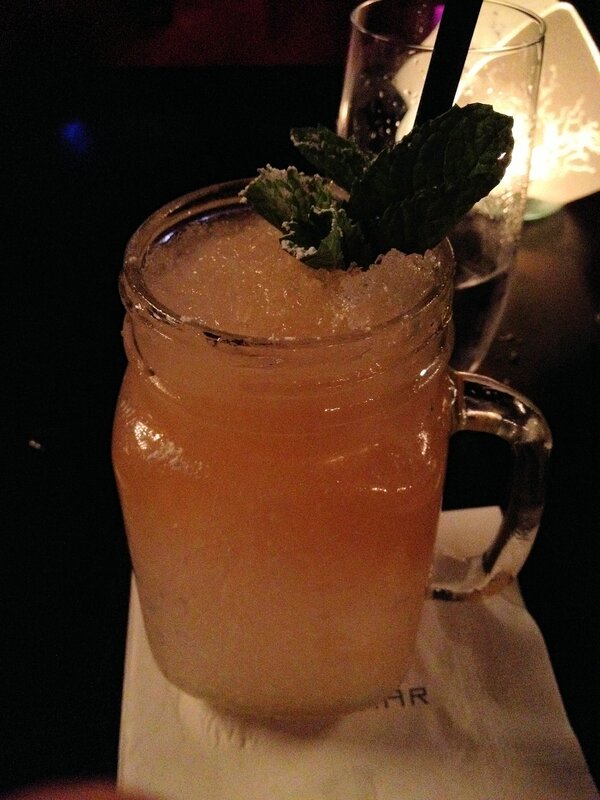 The Lion’s Tail recipe was posted by Derek Brown of The Passenger and Columbia Room over at The Atlantic. 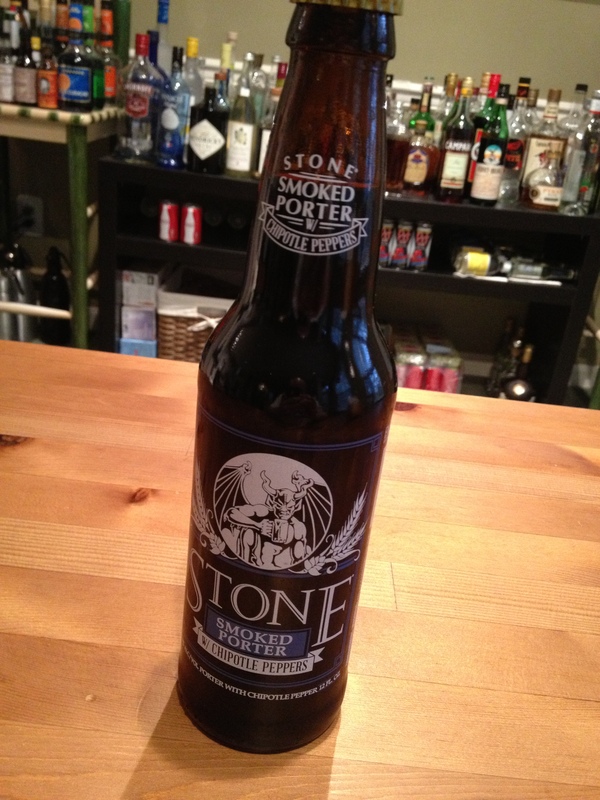 Next up from my batch from Norm’s…Stone Smoked Porter with Chipotle Peppers. A bitter porter with a hint of pepper and a little bit of kick. Not as much smokiness as the last brew…it’s masked by the bitterness and chipotle. 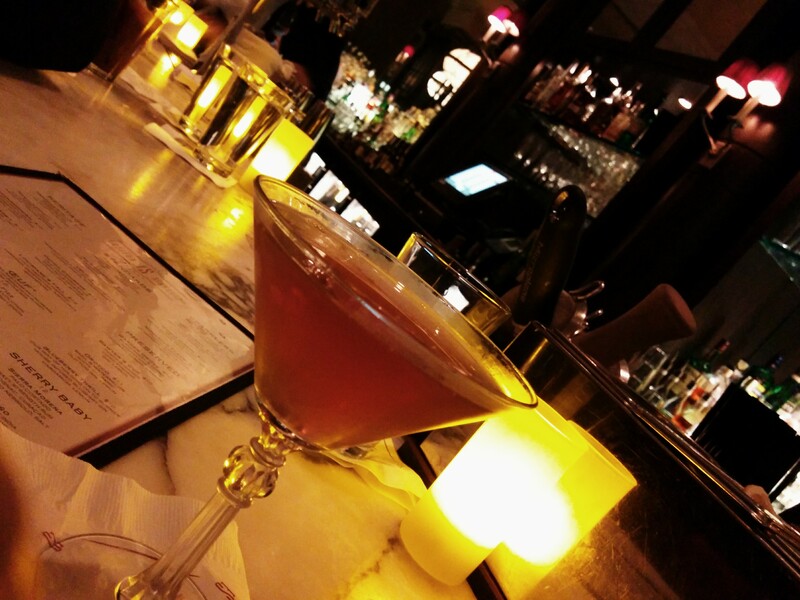 I’ll be having one of these tonight while I see how many restaurant posts I’m behind on writing up. 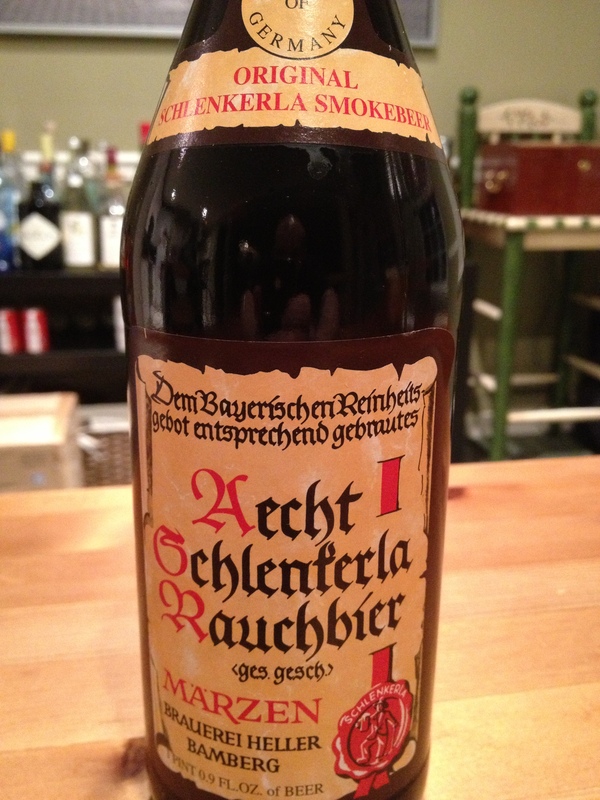 The Aecht Schlenkerla Rauchbier Märzen appears to be a top-notch brew. I had the Schlenkerla Weizen at LivingSocial for the Churchkey beer tasting back in July, and it was great…tasted of delicious bacon. I picked up this brew, and a few others, over at Norm’s Beer and Wine in Vienna…good selection over there. Wednesdays deserve a Clean Monday. 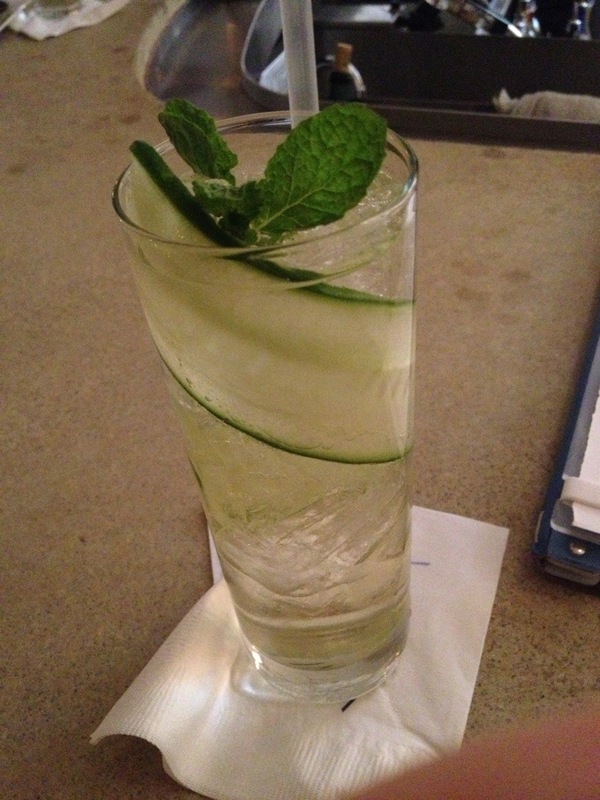 Cucumber and mint-infused Plymouth Gin, St. Germain, cava. I liked the cocktail I made tonight so much that I figured I’d put it up here for all of you. I wanted to make something tonight with Fernet, so searching throughout Cocktail Virgin, I found this gem. I wouldn’t usually be a fan of a drink with this much Sweet Vermouth, but the other ingredients (I believe especially the Fernet) really brought out the grape…I have to say I was a fan. I replaced the brandy with Armagnac, and the Curaçao with triple sec (which provided a dryer taste, I’d expect), while utilizing the same measurements. I’ll make this one again. 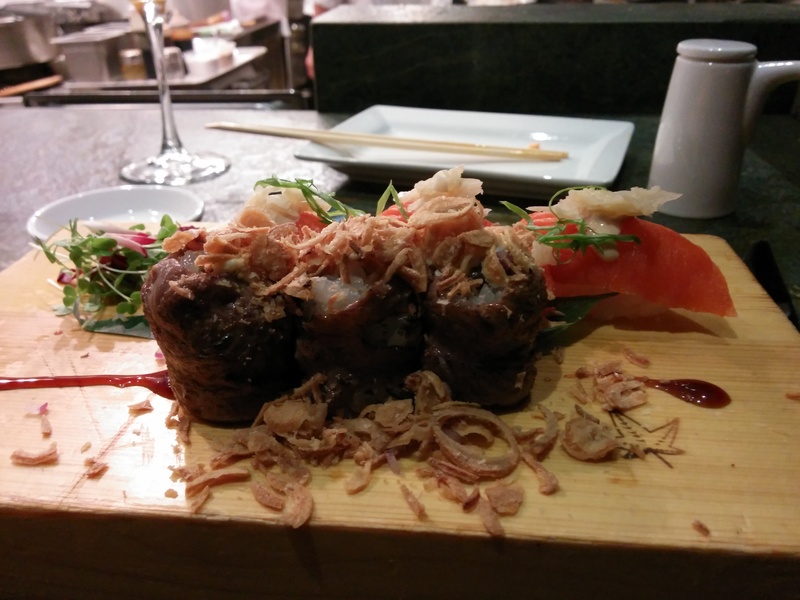 I’ve been seeing a lot of recent e-mail traffic about Fujimar, the restaurant upstairs from Lima (formerly just known as Lima). I wasn’t sure what to expect, being that I had always heard Lima talked of as a nightclub rather than a restaurant. After reading Tom Sietsema’s April review of the restaurant in The Washington Post, I decided to give it a shot. 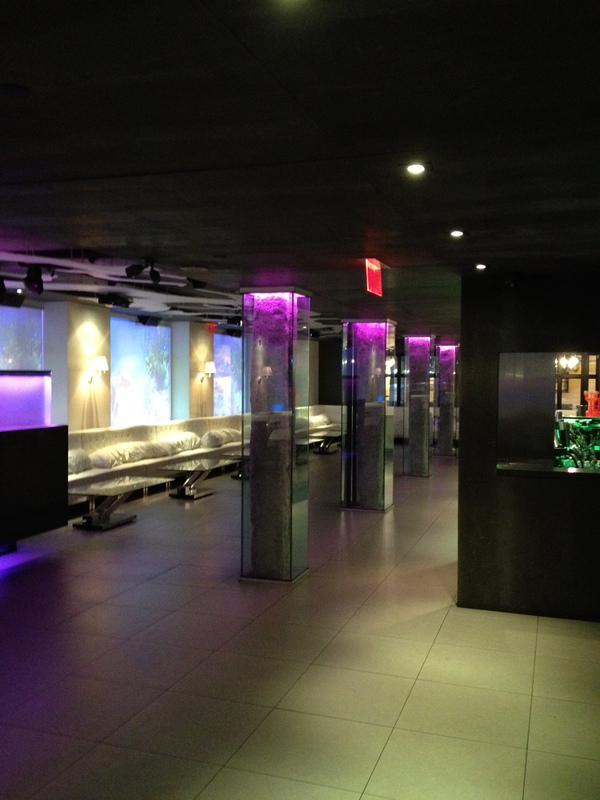 The restaurant interior is über trendy. 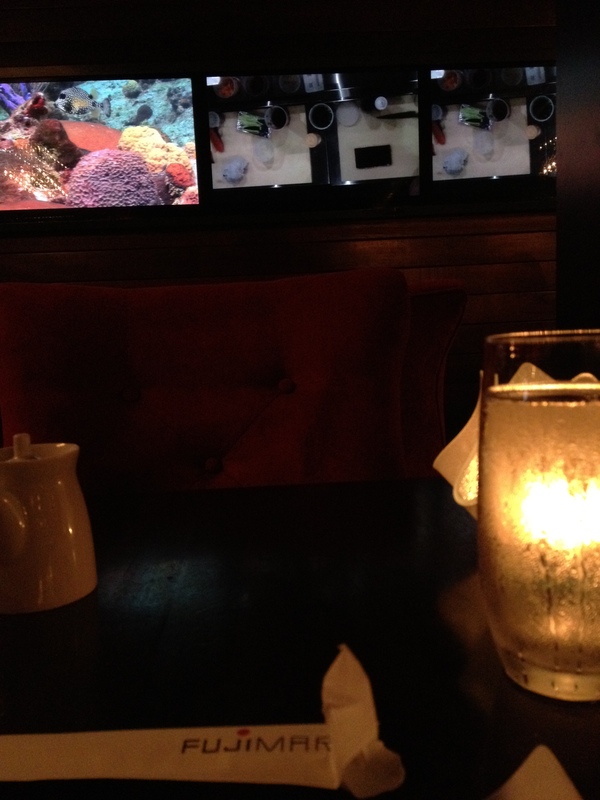 Around the wall is a line of monitors showing images of fish, giving the place an aquatic look. On a few of the monitors is a top-down view of the sushi chefs doing their craft, which I found to be a nice touch. Trendy styling inside. This is the back room. A view of the monitors, including the fish (left) and the sushi chefs (right). Longest. Fork. Ever. 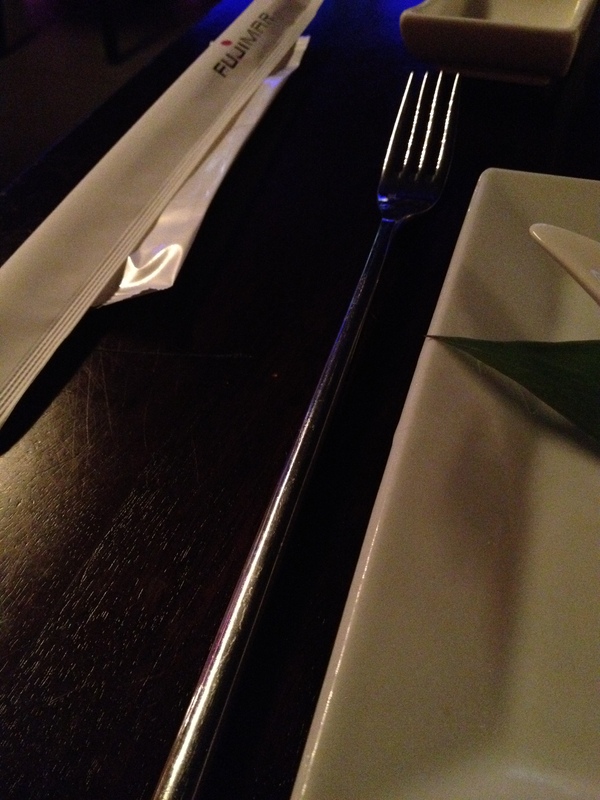 Fujimar was going for the chopsticks look with their utensils. A little awkward to use, but you’ll get over it. 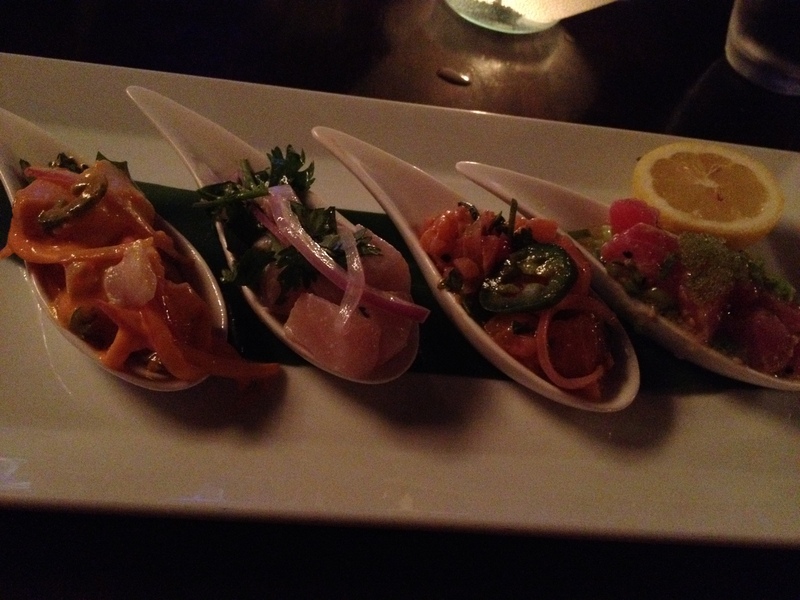 To get as much of a sample of the restaurant’s offerings as I could, I started with a Ceviche Sampler – four ceviches, including the Ahi Tuna and Ginger (my waiter’s favorite) and the Red Pepper Barramundi (my pick out of the four – although all were excellent). I also got two orders of sushi, including the Volcano Roll (hot king crab salad on top of a shrimp tempura and avocado roll), and the Lime Garden Roll (avocado, garden vegetables, and lime-cilantro oil). 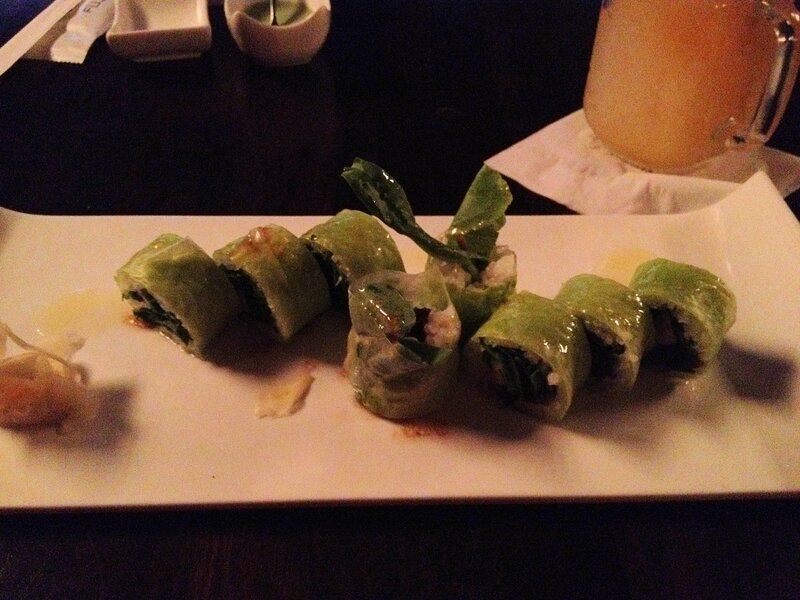 The Lime Garden Roll was surprisingly good for a vegetarian roll…I wouldn’t overlook it for the lack of fish. 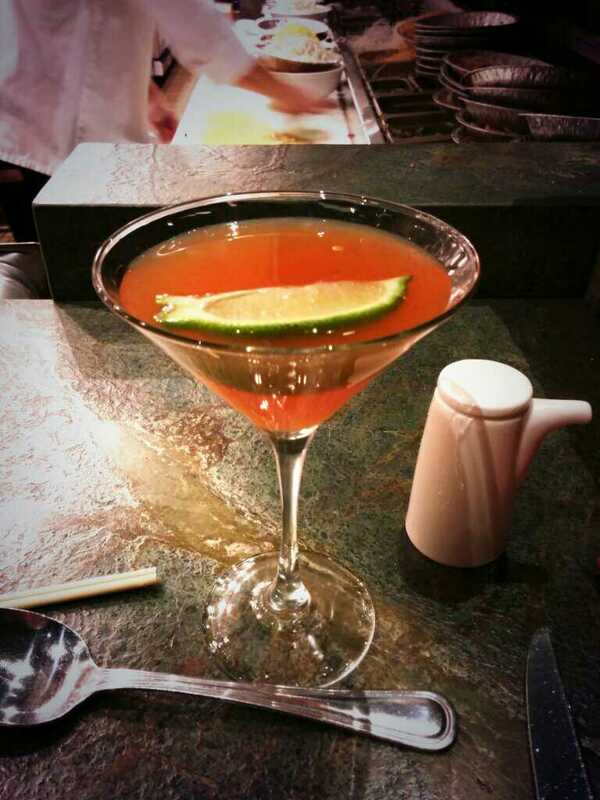 The mixology program at Fujimar is quite creative, and continues the asian-fusion theme of the restaurant. For my first cocktail, I picked up an Eastern Promise, with U’Luvka vodka, Yellow Chartreuse, yuzu, tamarind nectar, Sauternes foam (Sauternes, rose syrup, egg white), and violet salt. My second one, The Yamazaki Cobbler had Suntory Yamazaki 12 year Scotch (because for relaxing times, make it Suntory time), apricot liqueur, lemon juice, and apricot-mint nectar. Both went well with the food. The other options were also unique recipes that sounded excellent as well. Don’t be turned off by Lima’s nightclub vibe. They have a solid dining and mixology option upstairs in Fujimar which I’d encourage you to check out.